Momentum is a full-service, design and building company providing architectural planning and construction management, with an emphasis on close client contact, creative designs, and fine craft. We are a team of architects, engineers, and skilled building specialists. Our success comes from customer satisfaction through innovative planning and timely implementation. Our carpentry, cabinetry, and millwork preserve the New England tradition of fine home building. We have produced award-winning new construction, renovations, and restorations. We proudly display our designs and craftsmanship in these pages. We tailor our service to fit each client’s needs. Each building or site has opportunities to be revealed in the design process. Our association with highly qualified tradespersons ensures that good designs become quality buildings. 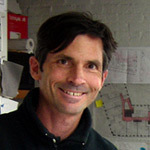 Charles Du Mond is a graduate of the Boston Architectural Center and a Massachusetts State licensed construction supervisor. He combines an architectural degree with nearly twenty-five years of building expertise. 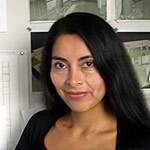 Iris Susana De la Sota comes from Peru where she graduated with a bachelor’s degree in architecture from the National University of Engineering in Lima as well as training in computer design software (CAD).